Men formal leather shoes in Singapore are a crucial detail in your overall formal office appeal. Leather shoes requires care. Period. Don't expect your shoes to last more than a year if you don't take care of it. It might...but don't expect it. Especially if you're shelving out more than $250 for your pair of shoes....you gotta at least maintain it. This guide is for lazy men who just want to spend 10 mins every 2 weeks to maintain their shoes. 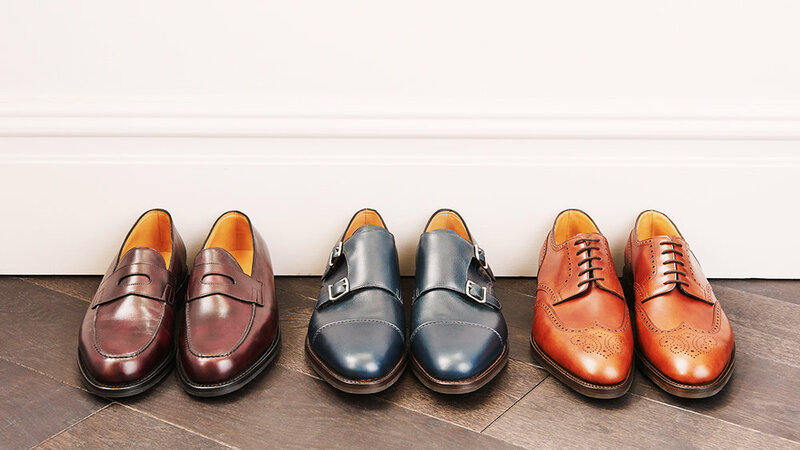 These are the only three easy tips you need to maintain your men formal leather business shoes. So the same principal should apply for your shoes. Your feet sweat just as much as every other part of your body, maybe more. Especially in a warm climate in Singapore where you have to do a lot of walking. Your shoes will soak up all the sweat your feet gives off. And it will also corrode the leather of your shoes. This is the most important step to making your shoe last. This really depends on the kind of shoes that you wear. If your formal leather shoes cost less than $150, then you most certainly don’t need a shoe tree. If you have invested up to $250 or more, then you should consider getting a shoe tree the same day you buy your shoes. They are no longer just an accessory – they are now a part of your shoes. Cedar wood shoe trees are the best kind but they are relatively pricey compared to the plastic ones. 1.) Cedar wood would wick moisture from your shoes and prevent your sweat from corroding the leather. Plastic would not do this. 2.) Shoe tree would help maintain the shape of your shoe and alleviate the creases. In my opinion, a plastic shoe tree does not really extend your shoe life but rather just maintain the shape. You are definitely going to scuff your shoes. Doesnt matter how expensive your shoes are...there is no such thing as a scuff free shoe. Its knowing how to clean and maintain them that is more important. There are a few functions of shoe cream in men leather shoe maintenance. Mirror Polish (Optional) - for mirror shine. 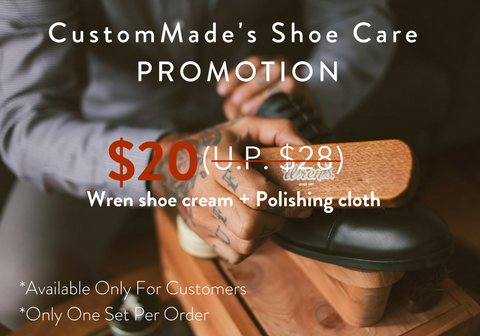 Using special leather maintenance products, you should be able to retain the shine and color in your shoes for a long time coming. This is for protection, conditioning, nourishment and minor sheen for your shoes. So do get a cream that does all these functions. If not, you need different creams which means you need to polish multiple layers. Do note to get the right shade of color if your shoes are not black. If not, it would discolor your shoes. Please do not use KIWI if your shoes cost more than $250. it would clog the leather pore when you over use it. This is for application of the cream. Get a microfiber cloth as it would not absorb the cream. We distribute Wren's shoe care cream (images below). Wren is a high end shoe care accessories brand, similar or above Saphir. It has been in the market since 1889, more than 100 years of history. In terms of value, quality and pricing, we would definitely recommend Wrens. Basic shoe care kit for protection, restoration, nourishment and sheen. The instruction manual is from our partner, Wrens. The lotion is optional as the cream does the function of the lotion already but if you want additional nourishment, the lotion would be perfect! bad looking ones are going to make an even stronger one. So it is crucial to care for your shoes especially after you invest more than $250 in them.